Kids usually picky when it comes to eating. What more is that they decrease their interest in taking foods during the time they are sick. They tend to sleep more and eat less. However, mommies like me are used to prepare something to give to our kid during this kind of moment. Making comfort foods for our sick love ones are the reasons why they recover instantly along with their fever reliever, Paracetamol. 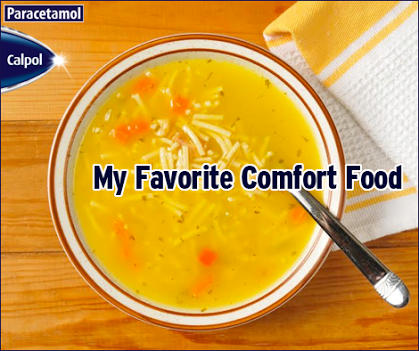 I have a good new mommies, at times like this... Calpol of GlaxoSmithKline is currently running a promo called "My Favorite Comfort Food" promo which you can submit photos of your kids' comfort food when they are sick. Check out the detailed mechanics below as well as how to claim the prizes. a) To join, a user must send a photo of his/her child's favorite comfort food when he or she has a fever along with the user's complete name and contact number and the child's name & birthday to Calpol.philippines@gmail.com until October 19, 2014.
b) Only entries with complete information will be considered. In addition, only parents/guardians of children aged 12 years old and below as of the promo period (October 13-28, 2014) are eligible to win. c) Only one entry per user and/or e-mail address will be considered. d) On October 20, all the qualified entries will be uploaded in a photo album on Calpol's Facebook page and users will be encouraged to vote for the entries they like. e) To vote for an entry, users need to click the "Like" button that corresponds to the entry they like. f) The 5 users whose entries garner the most number of likes as of October 27, 1PM will each win Php2,000 worth of gift certificates. g) In case of a tie, the user/s who submitted the entry first will be declared as winner/s. h) Only one user per family may win. "Family", as used herein, includes all relatives within the first to fourth civil degree of consanguinity or affinity. i) A user may only win in one Calpol mini-promo per year (i.e., a promo that does not make use of a Facebook application). j) Validation of winners will be done in the presence of an FDA representative. k) Winners will be announced on Calpol Philippines' Facebook page (www.facebook.com/CalpolPH) on October 28, 2014. The announcement will also be posted on the website (www.calpol.com.ph). l) Winners will be contacted via e-mail and phone call/sms message starting October 29, 2014. 1. Winners in the General Metro Manila area are required to claim their prizes at Yehey! 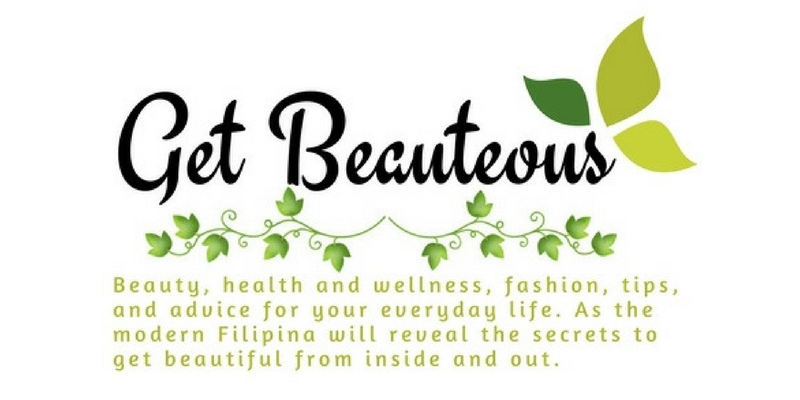 Digital Group office located at 1801 Tektite East Tower, Philippine Stock Exchange Center, Exchange Road, Ortigas Center, Pasig City, Philippines 1605. They are also required to present one valid ID and the birth certificate of the kid when claiming their prizes. If the winner is not the child’s parent, a signed letter certifying that the entrant is the guardian of the child has to be submitted. birth certificate of their child as proof of their age. Prizes will be sent via courier to their registered mailing address. If the winner is not the child’s parent, a signed letter certifying that the entrant is the guardian of the child has to be submitted. 3. Prizes unclaimed by December 19, 2014 shall be forfeited. a) Calpol Philippines reserves the right to reject photos that are obscene, inappropriate, and do not conform to the rules and regulations of the contest mechanics. Calpol panel's decision is final. b) Any violation of the Calpol Philippines House Rules, including but not limited to the provision on the PH CyberCrime Law, is considered grounds for disqualification. c) Calpol reserves the right to remove disqualified entries without prior notice.